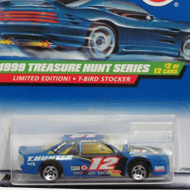 3/12 from the 1999 Treasure Hunt series. 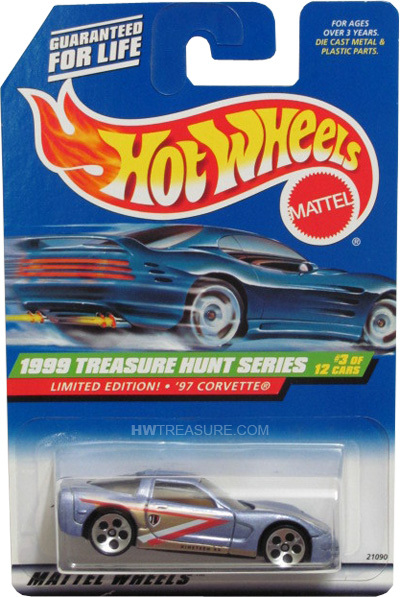 The Corvette boasts light purple metalflake paint, red, white, and gold graphics on the sides and hood, and “NINETEEN 99” on the sides. 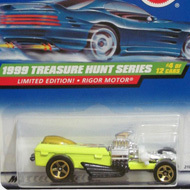 It has tinted windows, gold interior, 5-dot wheels, and a black plastic Thailand base.